Ota is a small village surrounded by two chains of mountains. 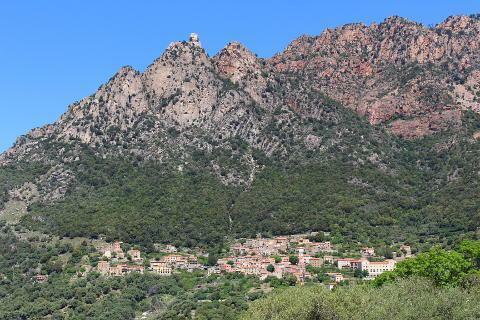 It sits on a hillside under the Mont Capu d'Ota and commands some terrific views over the surrounding valley and craggy cliffs. Ota is a short distance inland from the coastal town of Porto. The Capu d'Ota above Ota bears a passing resemblance to a sphinx and rather worryingly the head of the sphinx is said to wobble from side to side raising fears it could drop onto the village and giving rise to the expression "Ota Ota attent à la Cota!" or "Ota Ota watch your side" . Apart from this looming sphinx (which to be honest I didn't notice until I looked at the photos) Ota is a charming little village. 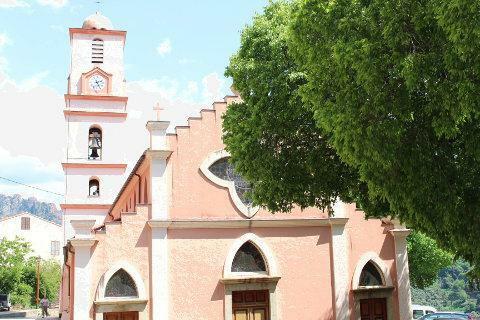 At its centre is a pretty pink church with a tall square bell tower and a couple of bars and restaurants. The sloping hills above and below are covered in trees including many olive trees and the views from here are magnificent. The main draw of Ota is its position in the splendid Spelunca gorge. You can walk from here to some of the loveliest parts of the gorge. There is an old mule trail between Osa and Evisa which takes about three hours to walk one way. If you leave your car at Ota you can catch a bus to Evisa and walk back along the trail. The trail is part of the Mare e Monti trail and is a beautiful walk. There are numerous pools in the river where you can take a dip and on the mule trail you can see two Genoese bridges with distinct high arches to keep the structues clear of the rapid river following the spring thaw. The nearby village of Evisa is known for its chestnut groves and also for the Foret d'Aitone with its giant Laricio pines. The coastal town of Porto is a great base to explore the stunning red rocks of the Calanche. 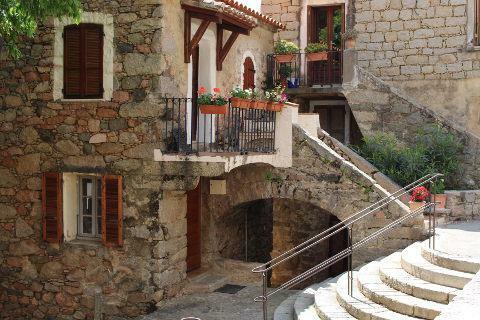 The rocks of the Calanche are stunningly beautiful and this was our favourite part of our visit to Corsica. Porto is a pleasant resort close to the Calanches de Piana. It is a good base for visiting the Calanques. 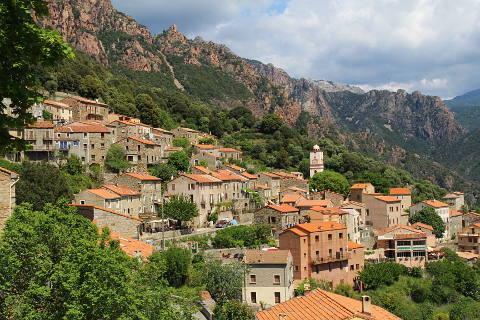 The calanches of Piana are exceptionally scenic rock formations on the coast of western Corsica near Porto. 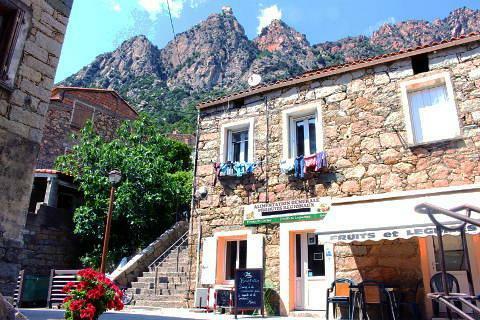 Piana is an attractive village overlooking the Calanches de Piana. The Calanches de Piana are outstandingly beautiful.